Just after 4 p.m. this past Sunday, Gary and Neriza Neville were driving with their grandchildren – Daniel, 9, Harry, 5, and Millie Neville-Lake, 2 – and the children’s great-grandmother Josephina Frias when an SUV operated by Marco Muzzo slammed into the side of their minivan at an intersection north of Toronto. Mr. Neville and all three children died of their injuries. The cause of the collision appears to have been drunk driving. Charges have been laid, but nothing has yet to be proven in Court. Many of the Toronto Injury Lawyer Blog readers, and non-readers heard about this tragic quadruple fatality claim. It brings to light a number of legal issues which I would like to clarity regarding drunk driving laws, and how damages work for drunk driving claims along with Court penalties for drunk driving. Jail time: Will Marco Muzzo face jail time if convicted of impaired driving, or perhaps other charges? It all depends on the charges. In all likelihood, Mr. Muzzo will NOT endure any jail time. If he is not convicted of any charges, then he certainly won’t encounter any jail time. I’m sure there will be some evidence which emerges from this case that will be helpful to Mr. Muzzo. Whether that’s his community involvement, philanthropy, or remorse. I highly doubt that he will serve any days in jail. Did you know that if it’s your first DUI in Canada, you face NO jail time? And for a second DUI, you might only do 14 days in jail? The deterrents in Canada along with the penalties for drunk driving are low. Even if you took somebody’s life. If it’s proven beyond a reasonable doubt in Court that Mr. Muzzo was in fact driving while impaired; will this increase the value of the personal injury/civil case for the Neville-Lake family? 3. (1) A person convicted of a prescribed crime is liable in damages to every victim of the crime for emotional distress, and bodily harm resulting from the distress, arising from the commission of the crime. 1995, c. 6, s. 3 (1). (4) A judge shall take the sentence, if any, imposed on a convicted person into consideration before ordering that person to pay punitive damages to a victim. 1995, c. 6, s. 4 (4). (6) A judge who makes an order for costs in favour of a victim shall make the order on a solicitor and client basis, unless the judge considers that to do so would not be in the interests of justice. 1995, c. 6, s. 4 (6). So, if Mr. Muzzo is found to have been driving drunk at the time of the motor vehicle accident, all it will do is that it will eliminate any liability issues in the case. So, what this case, and other similar fatality claims really worth? Losing a life is the ultimate penalty. Unfortunately, Courts in Ontario don’t award high damage awards for fatality claims. It seems odd and unfair. I agree. It’s totally unfair. No amount of money can ever replace a person’s life. But shouldn’t the family be properly compensated for their loss? Under Ontario law, compensation for fatality claims is simply put, unfair. Damages for pain and suffering, for the deceased, if they died instantaneously are negligible because they are quantified from the moment of impact up until the time of death. If the death happened instantaneously, then the pain and suffering award for the deceased can be next to NIL under the law. This is unfair, but this is how damages are assessed in Ontario. The real claims which have value in these sort of cases are the Family Law Act Claims for loss of guidance, care and companionship of the immediate family members who lost their loved ones. These claims can be significant, depending on the closeness of the relationship prior to the collision, along with how the person copes following the loss of their loved ones. 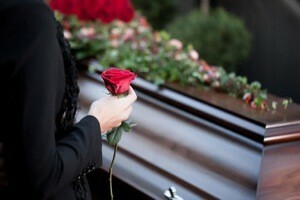 Even greater value for wrongful death claims is when the deceased is an income earner for the family. Let’s say that the person who passed away was the sole income earner for a family of 4. That person was earning $105,000/year, plus benefits. Now that the person has passed away, the family has LOST out on an income of $105,000/year. Multiply that annual income up to the age of retirement, and you have a fatality claim of high value. Unfortunately, in this case, the people who died appear to be three children (all of which did not earn any income), along with a grandparent (who may have likely been retired at the time of the collision). And this is why Ontario law is so terrible. It places little value on those pain and suffering, or Family Law Act Claims. The value of claims is found in future care cost claims (for which there are none in a fatality claim), along with income loss claims. If the people who died were not earning any income, the exposure for the insurer is not as significant as it would have been had an income earner passed away in the car collision. In the words of Kevin O’Leary, that’s just the cold, hard truth about fatality collision claims. The cost of future counselling is certainly a component for fatality/wrongful death claims. In addition, if any of the surviving family members are not able to work on account of their grieving following the accident that will add to the economic value of the claim. But if those people have benefits through work which cover their off time, then the insurer will be entitled to a set off and not have to pay out on those amounts which get paid through collateral insurance. None of this is fair. It wasn’t fair this drunk driving collision happened. It wasn’t fair that 4 lives were lost. Ontario car accident law and compensation isn’t fair either. It’s a brutal system we have which just gets more and more brutal year after year when the Ontario government continues to slash benefits and make it more difficult for accident victims and their loved ones get the compensation they deserve.